At Celebration Family Dental, prevention is the name of the game. Our goal is to help you and your loved ones avoid dental issues and complicated treatments rather than simply repair your teeth as problems pop up. 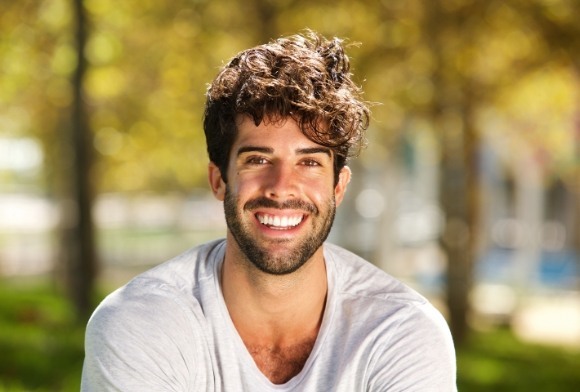 With this approach, we’ll not only keep your smile looking and feeling great, but it’ll also keep your dental costs nice and low! If it’s time for your next checkup, be sure to contact us today so we can keep your smile healthy year round! To learn even more about our preventive services, read on below. Brushing and flossing are great, but they simply can’t meet all of your dental needs. 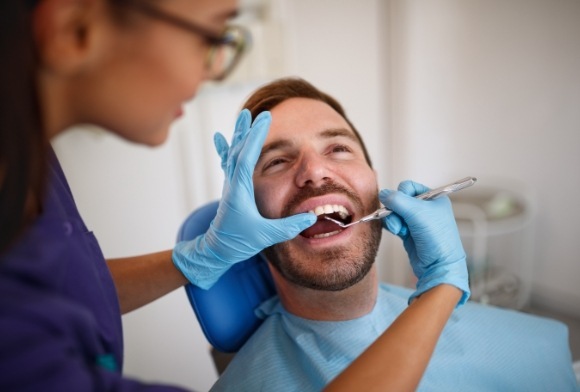 With a standard preventive appointment, we’ll go above and beyond to learn about your dental health, improve it, and educate you so you can take better care of your teeth at home. When it comes to your oral health, your gums are just as important as your teeth! With periodontal therapy, we can help treat and prevent the most common dental problem in the entire world: gum disease. This infection can cause painful gums and even tooth loss, but with us, we’ll make sure this global issue never impacts your smile. Did you know that 40% of all sports injuries are actually dental injuries? That number is even higher for children! 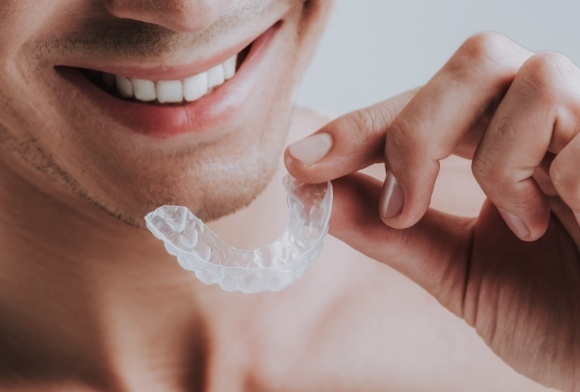 Before anyone hits the field, mat, or court, their smile should be protected by their own custom-made mouthguard designed by their dentist. 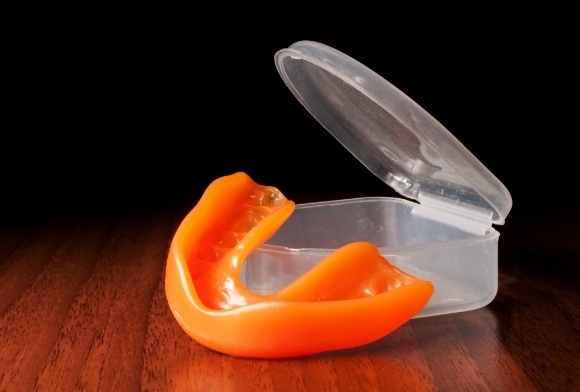 Our mouthguards will fit more comfortably and shield the smile much better than anything you can buy at the store. Bruxism refers to unconscious teeth grinding and jaw clenching, and about 1 in 3 people suffer from it! Over time, it can severely wear down the teeth, causing them to break, and even strain the sensitive jaw joints. Fortunately, we have a simple treatment that can help you address this sneaky problem. 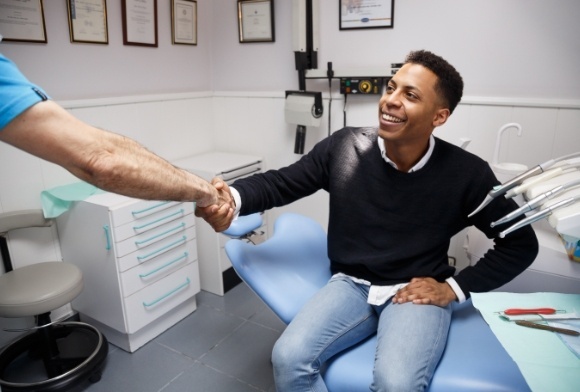 The American Cancer Society recommends that everyone should receive at least one oral cancer screening per year as early detection is key to both prevention and successful treatment. Your dentist can perform one as part of your regular checkup, and should they find anything, they can help you take quick and effective action. Sometimes, a dental problem is so severe that a person needs to receive care immediately. 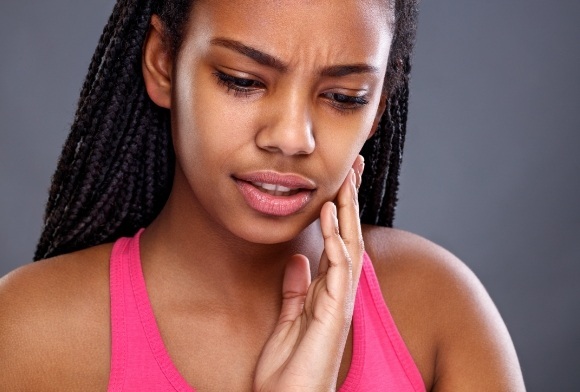 This could be because the teeth have been damaged in an accident or someone has developed a severe dental infection and/or pain. In any case, when you need dental care FAST, you can always turn to Celebration Family Dental. When you call in, we’ll be ready to offer advice, give first-aid tips, and even provide urgent same-day care if needed. We’ll always be there right when you need us the most! When it comes to taking care of your littlest smile, early-age dental appointments are absolutely essential. At Celebration Family Dental, you’ll find just the right combination of treatments, patience, and a gentle touch your child needs to be completely comfortable and relaxed while we serve their smile.